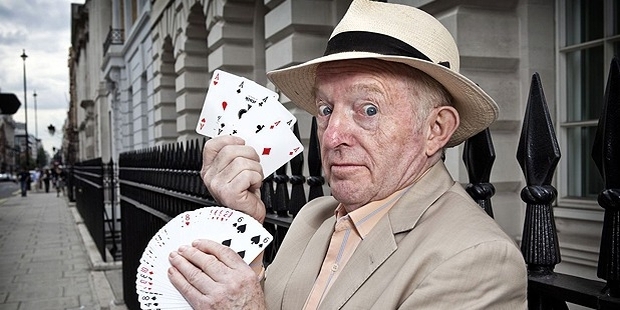 Known by the stage name of Paul Daniels, the very famous television performer and the well-known English magician, Newton Edward Daniels, passed on this Thursday, March 17, 2016. Debbie McGee said few words on the last days of Paul’s life and paid him a tribute. Paul Daniels was undoubtedly one of the best magicians in the history, but more than that, he was an excellent husband and boss, Debbie McGee says. She was his assistant, business partner and his wife as well. She told that he passed in the early hours of the morning, while she was on his side. She has been receiving mails since then from the friends, family and fans. She says that they had been very happy together with their days filled with laughter. She said they had a fairytale life where Paul not only did television shows and royalty shows but he was also known for his meticulous skills which were appreciated by his huge fans. He loved making other people laugh and mesmerize them with his tricks. She has said that they had great difference in their age and though they dated on and off for eight years, they got married in the year 1988. He had a habit of introducing her by the lovely Miss Debbie McGee. She told that when his tumor was operated, they got to know that he won’t survive for long because it had spread to other parts. Paul did not have any idea about it because the tumor affected that part of the brain which dealt with processing information. So, even though he talked and communicated he wasn’t able to take any new information. And soon, he passed away slowly leaving his laugh and fans behind.